Defund Abortion Pamphleting Blitz: Since the launch of this campaign in 2011, hundreds of thousands of pamphlets have been delivered to the doorsteps of Ontarians across the province. 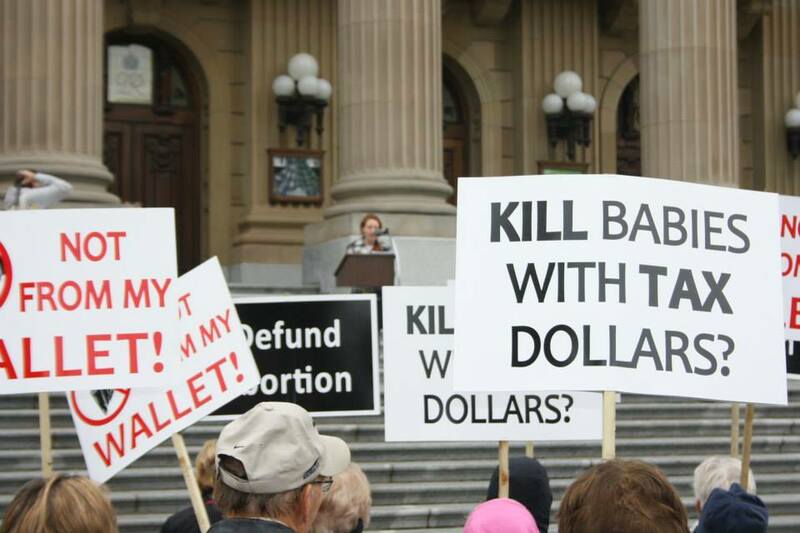 A recent Abacus Data poll found that 91% of Ontarians had no idea their tax-dollars went towards the funding of abortions in this province. Pamphleting therefore is an extremely effective way to get this vital information out to the public, and it's super easy! Call or e-mail CLC Youth and order as many pamphlets as you need free of charge. Get some friends together on a Saturday and deliver them in your neighborhood. Go out for pizza after and voila! You just helped bring this campaign one step closer to victory! To view our Defund Abortion brochure, click here. Petition: Over 25,000 people across the province have signed our Defund Abortion Petition which will be handed over the MPPs as soon as we have enough signatures to make a HUGE impact. For this we need YOUR help. Please print of as many copies of our Defund Abortion Petition here, and collect signatures at your school, church, youth group, from your friends, family, neighbours, strangers, etc.- and send the completed pages to Campaign Life Coalition (104 Bond St, Toronto, ON M5B 1X9). Defund Abortion Mini Defund Rallies: On October 3rd, 2013, over 60 individual Defund Abortion Mini Rallies were held in front of constituency offices across the province to send a message to individual MPPs that this an issue their constituents care about. Thousands of people from across the province came out for this public witness, attracting media across Ontario and grabbing the attention of the public. To see media coverage and highlights from this event, click here. Defund Abortion Campus Campaign: Are you a University student in Canada? If so- the Defund Abortion Campus campaign is an easy and efficient way to educate your campus about abortion and abortion-funding. It's easy, free and effective. All you have to do is contact CLC Youth on the number of pamphlets you need to conduct this campaign and we will send them to you free of charge. Take an hour or two to ask students passing by three simple survey questions which can be found here. Using the polling questions, change hearts and minds with this easy and effective project! Hand out the pamphlets as ammo to make your campus more pro-life one student at a time! Make sure to let the National Campus Life Network know you are doing this campaign so they can help promote it on your campus! Join our Defund Abortion Facebook fan page here. 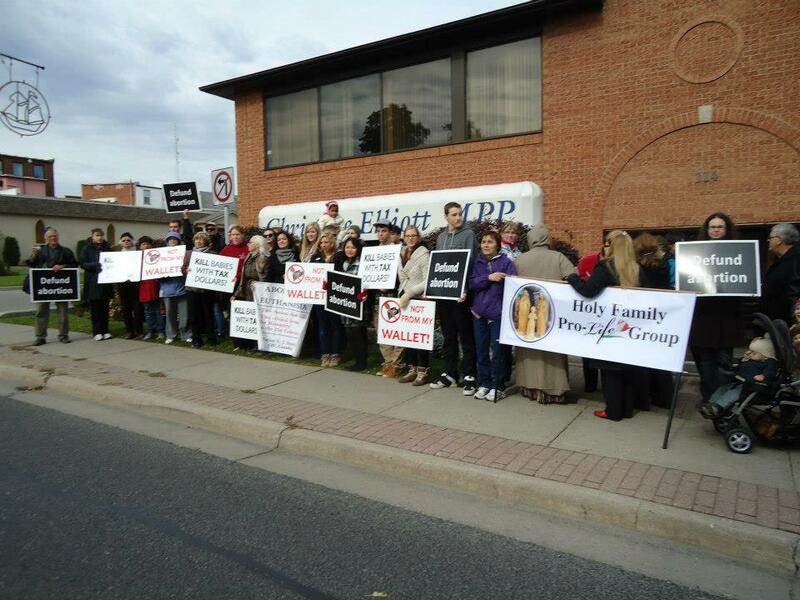 Defund Abortion Campaign Goes National! On October 3rd, 2013, the Defund Abortion Campaign was launched with rallies in 4 provinces across the country: Alberta, Manitoba, Nova Scotia and Newfoundland. To see the outcomes of these rallies, click here. To get involved in the Defund Abortion pamphleting, petitions and mini rally campaigns in YOUR province, please contact us at [email protected] today!